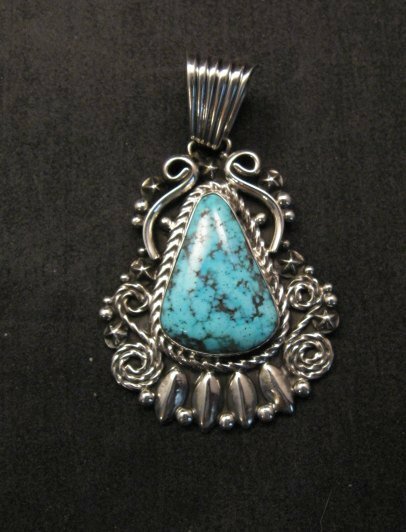 This beautiful Native American natural turquoise sterling silver pendant was handmade by Navajo silversmith, Geneva Apachito. 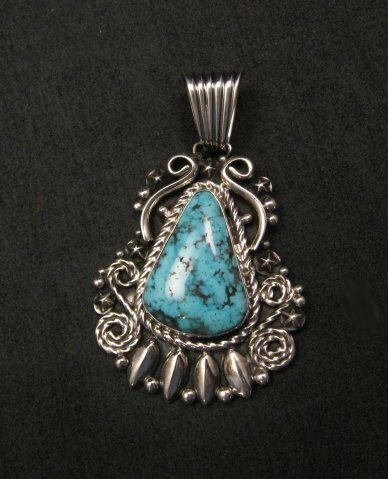 The pendant has a beautiful natural Ithaca Peak turquoise stone set in a fancy sterling silver setting. The stone is a light-to-medium sky blue color with dark matrix. 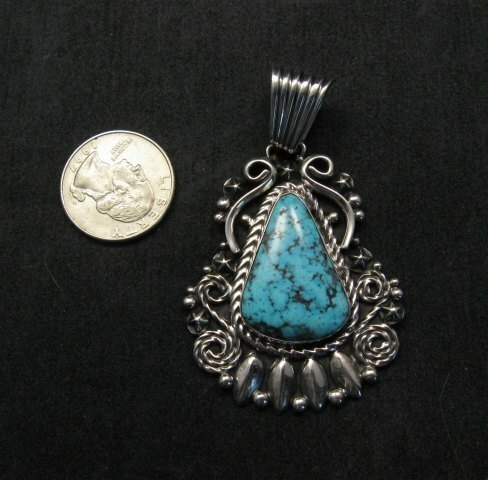 The pendant measures 2-3/4 inches long from the top of the bale by 1-3/4 inch wide and weighs about 28 grams. The bale has a usable opening interior of 1/2 inch. Brand new in perfect condition. It is stamped sterling and has Geneva Apachito's hallmark. Certificate of Authenticity included and gift box included. Geneva was born in 1969 in Soccoro, New Mexico. 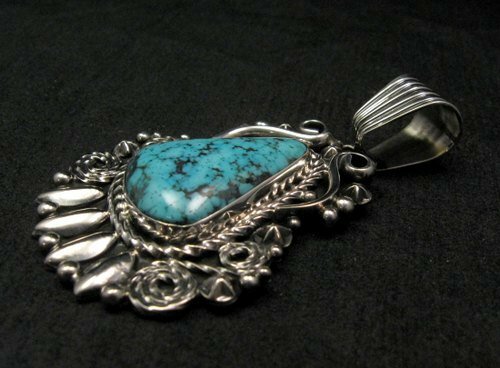 She was taught silver work by her mother Genevieve Apachito.